Frankie Zulferino is a male pop artist from New York. 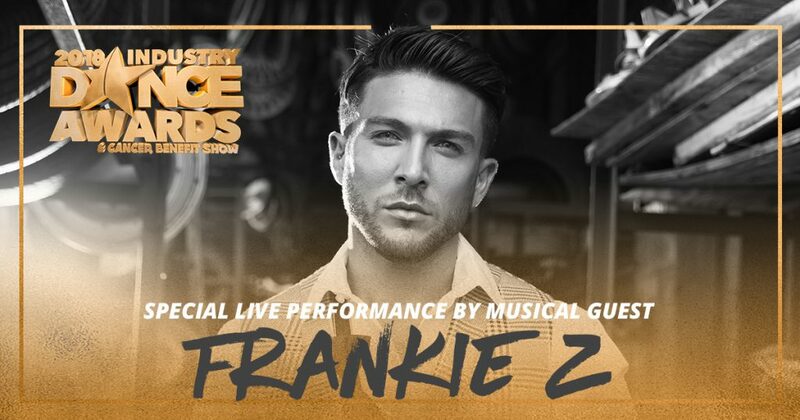 In his earlier years, Frankie was a part of the boyband “WOW” and has opened up for musical artists such as Justin Bieber, Selena Gomez, Jason Derulo and Sean Kingston. He has also toured Europe with multi-platinum group, Westlife, where he performed at the London O2 Arena as well as Croke Park. Frankie was also one of the top four contestants in the New York episode of CW’s “The Next” where he was mentored by pop sensation, Joe Jonas. In the summer of 2013, Frankie was on the PopExplosion Tour which had stops in cities across Canada as well as the United States. Frankie was also a co-headliner on the Reality Dance Jam Tour with IM5. In addition, in 2013 Frankie was also the choreographer and director for the Struck Boyz, who were finalists on the eighth season of America’s Got Talent. Frankie has been featured on world-renowned blog sites such as RyanSeacrest.com, PerezHilton.com, Examiner.com, Fanlala.com as well as Oceanup.com. You can also find him in magazines such as Popstar, Twist, and M. In 2014 Frankie did a six week promotional tour in China where he performed in six cities. In 2015 Frankie signed to music manager Johnny Wright who has been responsible for some of the worlds biggest stars such as Justin Timberlake Britney Spears and Janet Jackson. During this time he was part of the “POPNATION TOUR ” which traveled to cities all over the US. Frankie has also recently re ventured out into the acting scene and signed to Carson Adler Agency in NYC. He also had the opportunity to perform and model at this years “New York Fashion Week”. When Frankie is not singing he spends his time traveling and choreographing for dancers all over the US. Frankie is one of the featured choreographers for the “WILD DANCE TOUR” , and also runs a competitive dance team of over 100 kids who are undefeated national champions. Frankies students have been on “broadway” , “commercials” , hit “tv” shows and also perform for professional NBA dance teams. His most recent accomplishment was being awarded for “BEST HIP HOP PERFORMANCE ” of 2016 at the Industry Dance Awards in Los Angeles California , as well as choreographing for the “ORLANDO MAGIC ” dancers. Frankie is now signed with “SLK ENT” and has over 2,000,000 views on YouTube for his self-made music videos. During his time with SLK Frankie has also released his latest single ” Forever Girl” which has had major success ! Frankie is currently headlining his own sold out show in Atlantic CIty at Mohegan Sun Resorts Casino which he produced. He also has a new EP coming out and his first single will be released in Brazil ! It is no doubt that Frankie is the next up and coming superstar of our time!